The horse has faithfully served alongside soldiers in many of America’s wars. From cavalry mounts to pack horses to equine ambulance teams, horses have been an instrumental part in wars for many decades. In honor of Memorial Day, Buckley Fence pays respect to the equines who have given their country their all. One of George Washington’s favorite horses, Nelson carried Washington through much of the American Revolution. Nelson was a sixteen hand-high chestnut with white legs and a white face. Thomas Nelson, who owned the horse before Washington, heard that Washington was searching for a horse to replace his former mount. Thomas Nelson sent the horse to Washington as a gift, and Washington named the horse Nelson in honor of Thomas Nelson’s generosity. 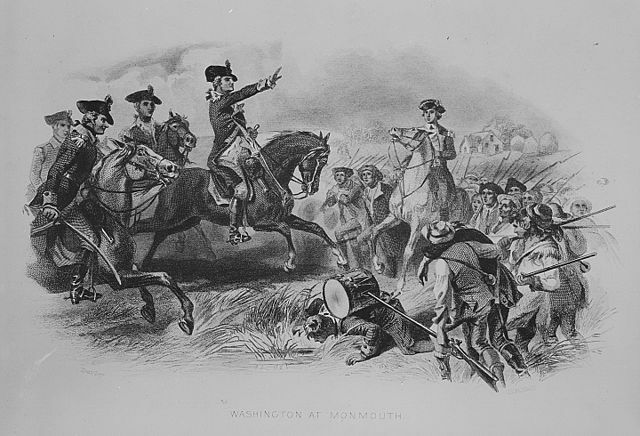 Washington rode Nelson during Cornwallis’ surrender at Yorktown in 1781, and after the war, Washington brought Nelson home to his plantation. Nelson lived out his years on the plantation, serving as a riding horse. He died in 1790 at the impressive age of twenty-seven. General Robert E. Lee’s horse Traveller is perhaps the most famous horse of the Civil War. Traveller was born in West Virginia, and General Lee purchased the grey, sixteen-hand horse in 1861. General Lee rode Traveller for much of the Civil War, and Traveller served in the famous Battle of Gettysburg. General Lee kept Traveller, his favorite horse, after the Civil War. When Lee died in 1870, Traveller marched in his funeral procession. Traveller was buried next to the Lee Chapel on the grounds of Washington and Lee University in Lexington, Virginia. Sgt. Reckless served with the U.S. Marine Corps during the Korean War. The small, 900-pound Mongolian mare proved herself to be a tremendous soldier. Reckless served as an ammunition horse, meaning she carried supplies and ammunition to the troops on the front line of battle. The Battle of Outpost Vegas, which took place in March of 1953, truly put Reckless’ service to the test, and she passed with flying colors. During the intense five-day battle, Reckless carried almost 10,000 pounds of ammunition to the front line. She walked over 35 miles and made many of the trips on her own. Wounded twice, Reckless continued with her task. She also carried wounded soldiers away from the battlefield. Reckless earned two Purple Hearts for her service and was buried with full military honors after her natural death in 1968. Reckless has been honored with a 10-foot bronze statue in the Marine Corps Museum in Virginia. The heroism and accomplishments of the horse in war are truly incredible. On Memorial Day, remember to honor America’s war veterans – both those with two and with four legs.